ST. PETERSBURG, RUSSIA - JANUARY 2, 2016: Brothers Zapashny circus, "UFO. 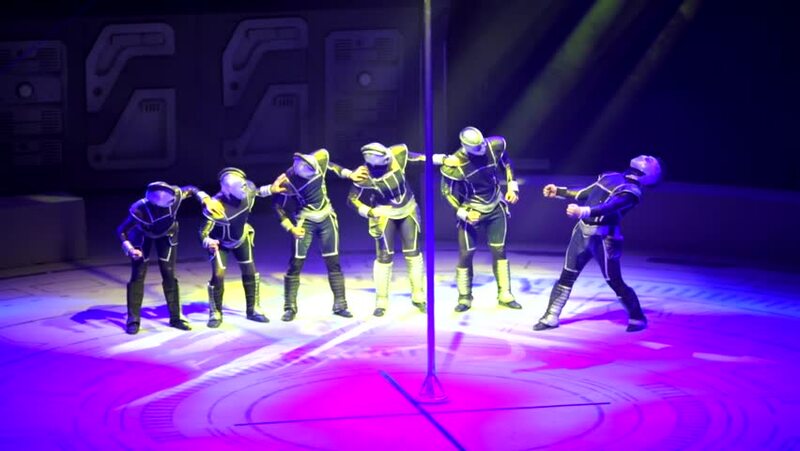 Alien Planet Circus" show in Saint Petersburg. A few actors in alien costumes perform on the stage. hd00:51DNIPROPETROVSK, UKRAINE - FEBRUARY 23, 2016: Unidentified children, ages 4-13 years old, perform Once in the city… at the State Palace of children and youth.